To pair your GoPro action camera with your smartphone you need to know the GoPro’s Wi-Fi password. Luckily, if you forgot what it is, you can easily reset your GoPro Wi-Fi password, though you can’t create your own; the camera automatically generates it. You can also change the camera’s name (HERO7 series only) so you can differentiate between all of your Wi-Fi enabled devices. Pairing your GoPro with a smartphone lets you view and transfer footage using the GoPro app. You can also use the app to add music and effects to your videos, share them on social media, and even control your camera. These instructions apply to the GoPro HERO7 Black, Silver, and White, the HERO6 Black, HERO 5 Black, and the GoPro Fusion. If you have an older model, you can find instructions on GoPro’s website. While the three HERO7 models have different features, the process for resetting the Wi-Fi password is the same for each. Go to the main screen. Tap Preferences > Connections > Reset Connections. The camera will create a new name and password and display them on the screen. Once you’ve reset the connections on the HERO7, you can change its camera name. On the GoPro, go to Preferences > Connections > Connect New. Launch the GoPro app on your smartphone and tap Find My Camera. The app should auto-detect the camera; if not, tap Add Manually, and choose your model from the list. Once you’ve paired the camera to the GoPro app, you can change the camera name. The process of resetting the Wi-Fi password on a HERO6 Black and HERO5 Black is slightly different. You also can’t change the HERO6 or HERO5's camera name, only the password. Tap Connect > Reset Connections > Reset. The camera will create a new Wi-Fi password and display it on the screen. The GoPro Fusion is a wearable 360 camera that you can use to create VR (virtual reality) videos. 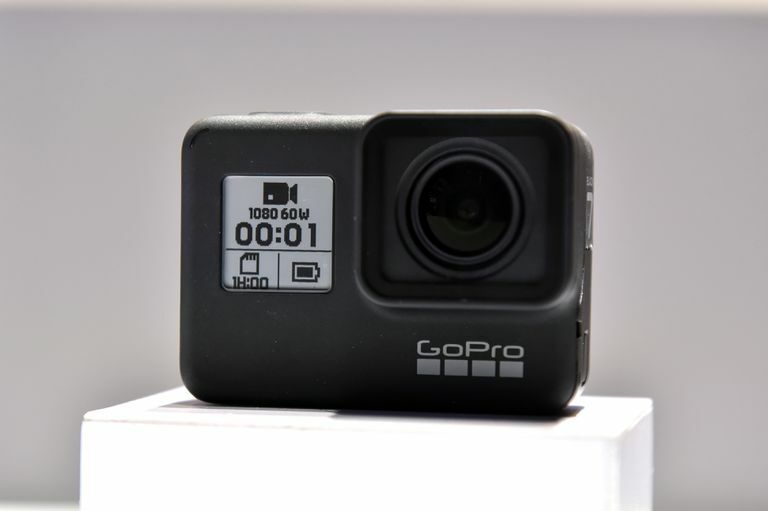 Like the HERO cameras it can also connect to the GoPro app, and your smartphone, via Wi-Fi. Press the Mode button on the side of the camera to power it on. Press the Shutter button on the front of the camera to go to Settings. Press the Shutter button three times to get to Connections settings. Once again, repeatedly press the Mode button, until the word "RESET" is highlighted. Press the Shutter button to select it. Press the Mode button to highlight "RESET," then press the Shutter button to confirm. This resets the camera's connections. The HERO5 Session is a waterproof action cam that you bring down to 33 feet below the surface. Repeatedly press the Menu button to get to the Status screen. Press the Shutter button to select Connections settings. Once again, repeatedly press the Menu button, until you get to Reset Connections. Press the Shutter button to select Reset Connections. Press the Menu button to navigate to Yes. Press the Shutter button to select Yes. The screen will display Wi-Fi Reset Successful.